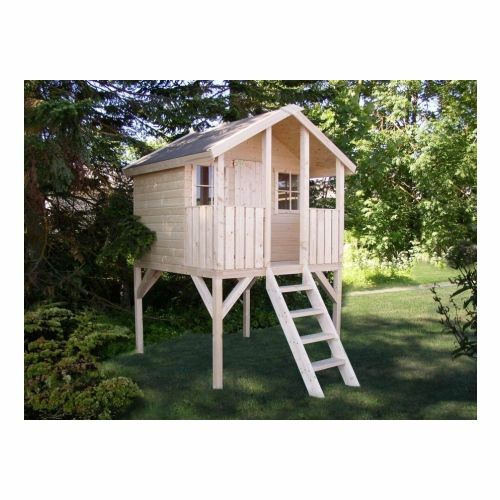 Because of its excellent value for money, this beautifully presented wooden playhouse for children of all ages is, and has been for years, the best-selling wooden playhouse model. 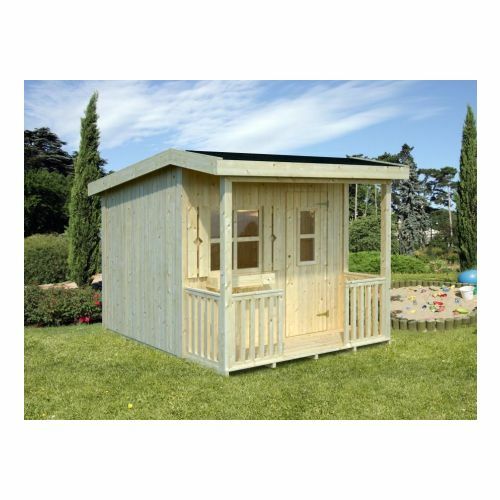 It measures 180 x 180 x 169cm high and comes with a lovely Swiss-chalet style balcony The Broward playhouse comes with pre-assembled panels sides making the installation very simple. Dimensions of 180x180cm and a height of 169cm, the house includes 2 windows, balcony and a wooden floor. The San Bernardino is one of the most popular models from Valkea, a leading global manufacturer, and is made with 16 mm thick Nordic spruce wood slats. 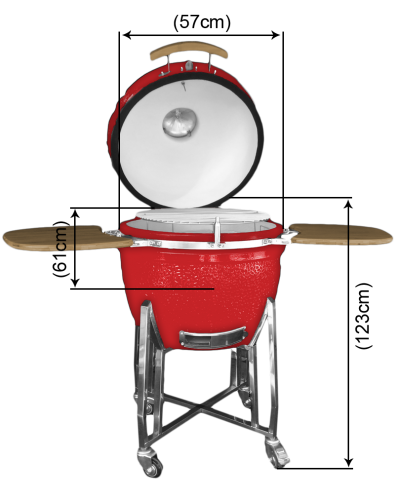 External dimensions: 180 x 190cm. Height:287cm. 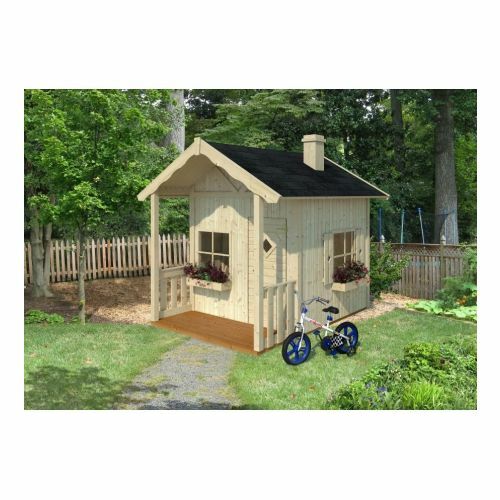 This original playhouse model comes with a staircase access and has a large enclosed porch where children can enjoy a great and secure space for play, without having to leave the garden. With a height of 287cm and stairs access, this unique children's house has a large fenced porch where children can enjoy a secure play space without leaving the garden. 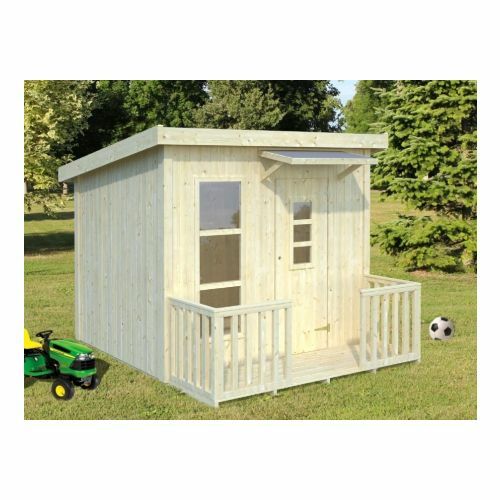 he Apache County 1 playhouse is a classic within the Valkea range and stands out as one of the few models of playhouses with tongue and grooved slats instead of preassembled panels. This playhouse is very robust and made of 19 mm Nordic spruce wood slats. In addition, its beams and panels that make up the terrace receive speciﬁc treatment for optimal outdoor conservation. The Franklin Playhouse has a modern looking pent roof model with a slight overhanging apex which acts as a shelter under the door. 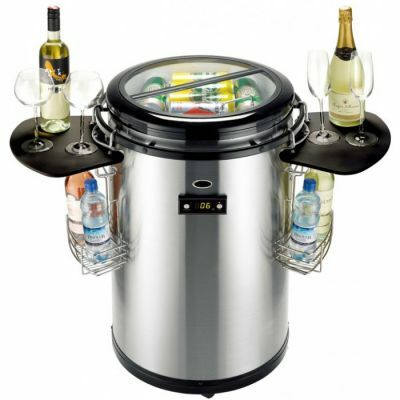 Included is also the veranda and fitted with Plexiglas allowing for all year-round use. 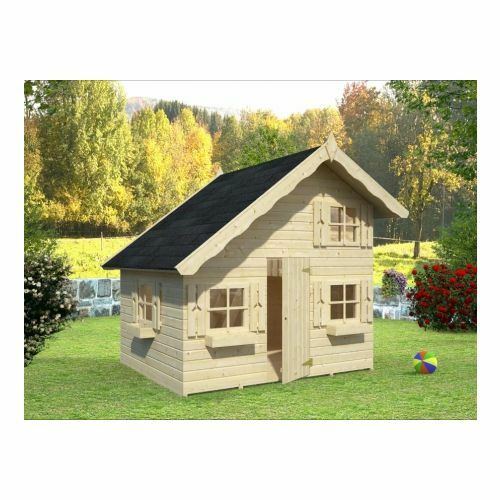 Beautifully designed, the Franklin 6ft x 5ft (1.9m x 1.6m) playhouse is made from Nordic spruce wood giving additional durability and reliability. It features Plexiglas windows, a cute veranda balcony and with easy to fit ready-made wall boards, the Franklin comes with a 5-year guarantee. 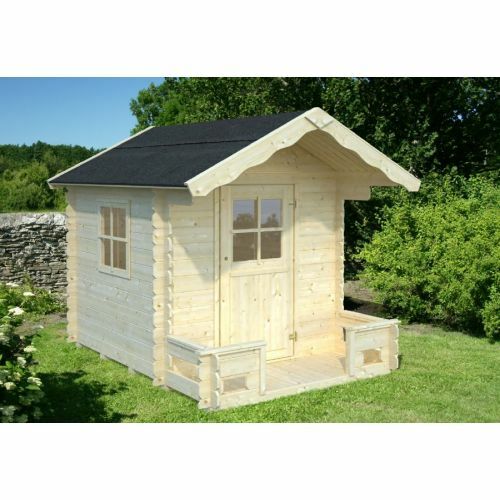 The Apache County 2 is a fantastic log constructed kids playhouse made from 19mm thick timber in the walls and 16mm tongue and groove roof and ﬂoor boards. The building has a base size of 1.8m x 2.5m / 5ft 11 ins x 8ft 3ins including the veranda (excluding the veranda, the building stands at 1.8m x 1.8m / 5ft 11 ins x 5ft 11 ins). Provide your children with a wonderful light filled playhouse to engage in endless hours of play. 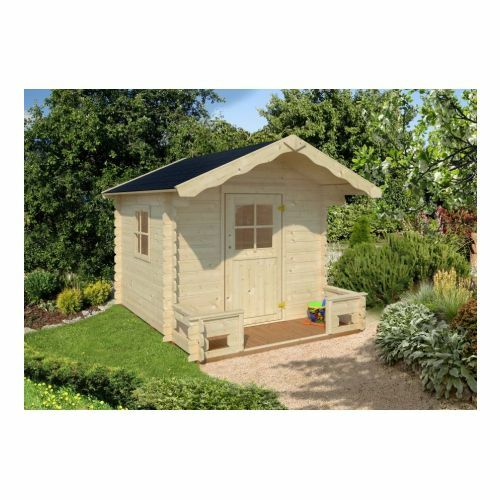 Our 7x5 (1.9x1.6m) Kansas City 1 - 16mm Kids Cabin is a superb grown up space, just for them. This highly attractive design is supported by a robust construction of 16mm Nordic Spruce tongue and groove wall cladding. 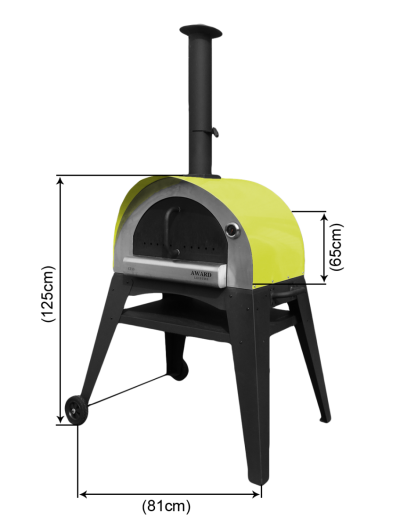 The floor and roof are 16mm tongue and groove cladding, well-known for its weather resistance, strength and durability, ensuring a strong design for your children to enjoy that can withstand the rigours of time. 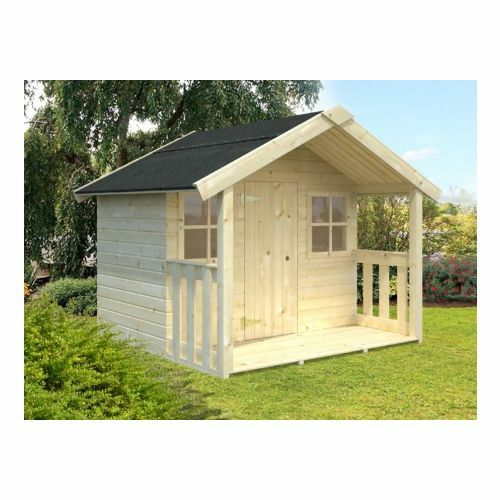 This fantastic Kansas City 2 Playhouse comes with a curved stylish roof which offers a modern design and appearance in your garden. It is constructed on top of stilts which adds additional adventure to your children’s’ experience. 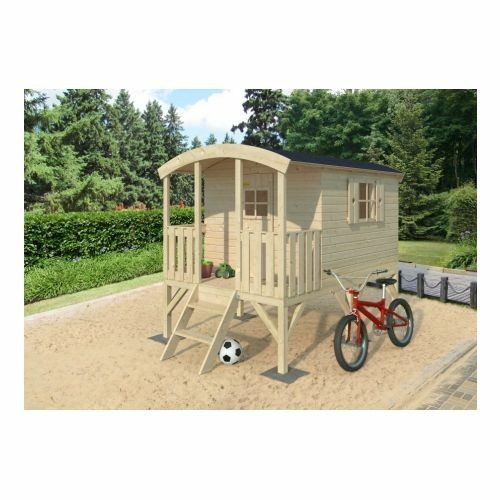 The playhouse is accessed by climbing a couple short to the veranda, making it a great entrance to the playhouse which is 1.8m x 2.03m in size. Overall, the dimensions required, excluding the area for the steps, is 1.8m x 2.73m / 5ft 11 ins x 9ft. This two-story playhouse is one of the best-selling models here at Award Leisure. The Hamilton playhouse is made with Nordic spruce wood, with dimensions 220x180 cm, and includes floor, several Plexiglas windows, planters and shutters, and a gabled roof. 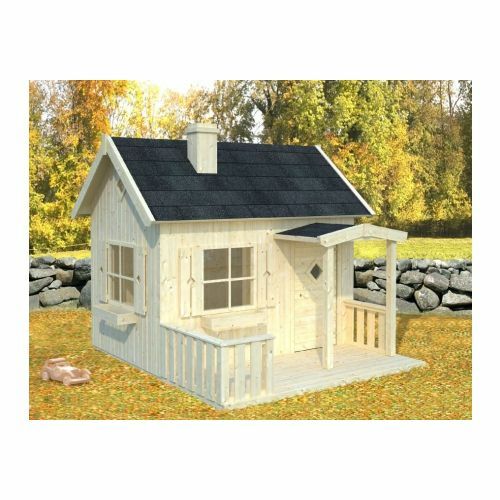 Install this delightful ‘Hansel and Gretel’ style cottage at the end of your garden. Featuring a chimney, window shutters and a porch, this cute cottage is sure to be a hit with the children. The playhouse is made from Nordic spruce wood, the roof and floor boards are made from robust 16mm tongue and groove and also comes with some readymade wall elements and a fixing kit. The two fixed windows are fitted with Plexiglas and provide a source of light into the playhouse. The Adams County has a spacious loft, ﬂower beds and a beautiful appearance. This playhouse is made of Nordic spruce with a wooden door and Plexiglas windows. 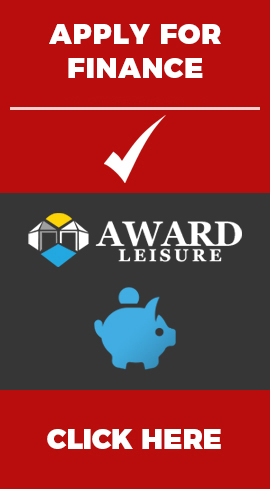 The playhouse can withstand the UK climate for many, many years and comes with a 5-year guarantee.